The Hungarian Studies Association of Canada (HSAC) celebrated its 30th anniversary this year, at a conference held at the University of Ottawa from May 30th to June 1st, 2015. 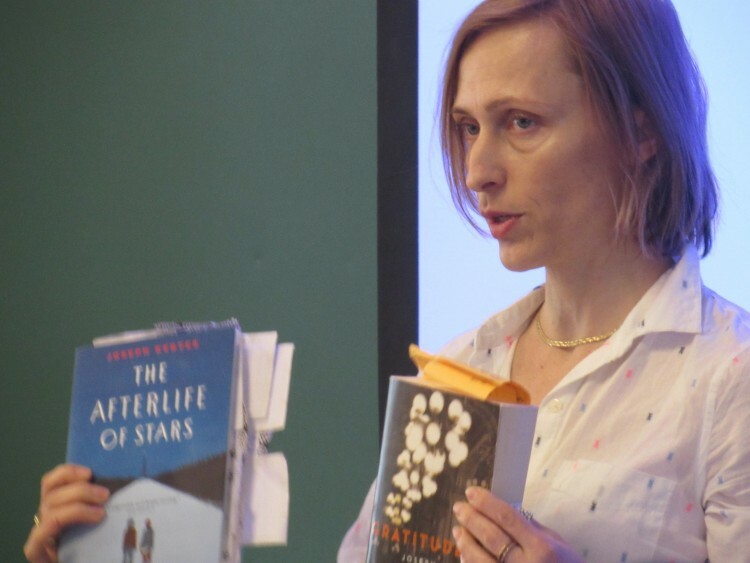 A member of the Canadian Federation for the Humanities and Social Sciences, the 2015 HSAC conference was especially dynamic, with 29 presenters coming from across Canada, the United States, Hungary, Romania, Slovakia and the United Kingdom. HSAC’s membership hovers between 75 and 90 members each year, and has shown signs of growth in recent years, especially among members from outside Canada. The two-and-a-half day conference, organized in very significant part by Judy Young-Drache, HSAC’s executive secretary, began with a panel commemorating the 50th anniversary of diplomatic relations between Canada and Hungary, with speakers including Agnes Pust and Greg Donaghy of the Department of Foreign Affairs, Trade and Development, as well as László Sinka of the Embassy of Hungary in Ottawa. The panel was followed by a reception offered by the embassy. 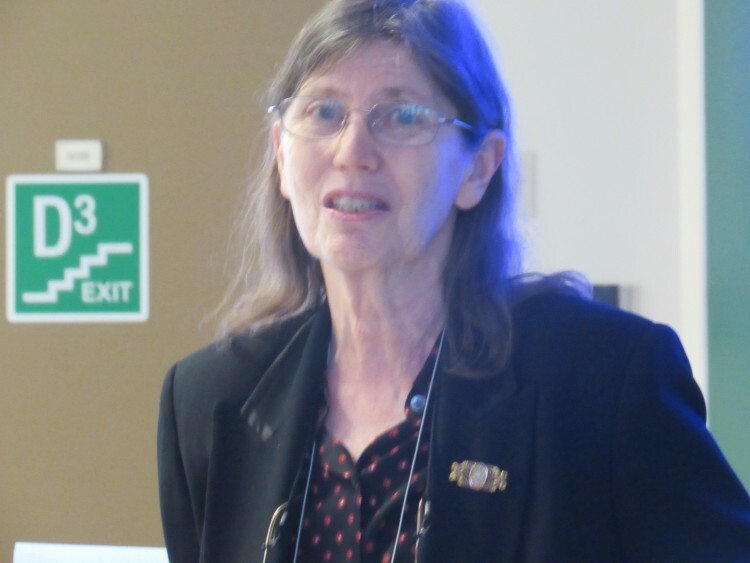 The conference’s highlights included a special 30th anniversary dinner at the Novotel Ottawa, with long-time member Eva Tomory of the University of Toronto compiling and presenting dozens of photographs documenting HSAC’s three decade-long history. Oliver Botar, Judy Young-Drache, Nándor Dreiszger and Margit Lovrics joined her in reflecting on the organization’s history and development. The other highlight of the conference, and a very moving one at that, was a talk given by Auschwitz survivor Ibi Gábori. 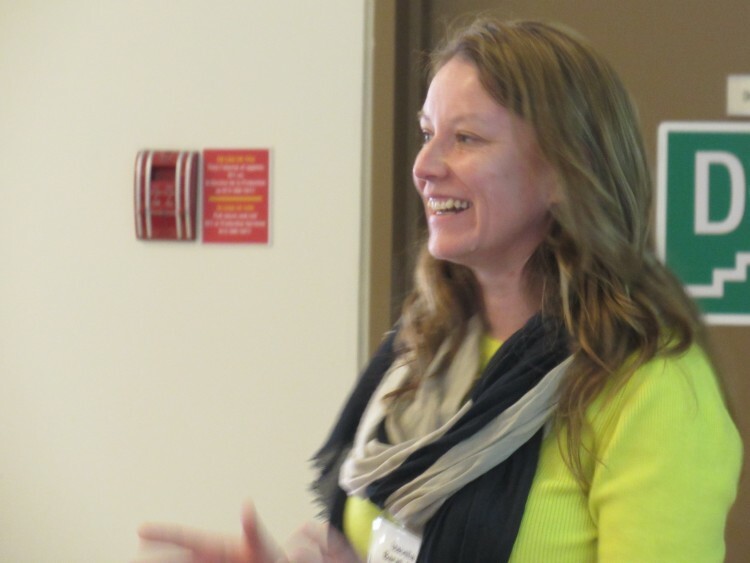 The 2015 HSAC conference included a rich diversity of presenters, topics and disciplines. Our photo report aims to give a taste of the scope of HSAC’s annual conference at the 2015 Congress of the Humanities and Social Sciences. Agnes Pust presenting as part of a special panel focusing on 50 years of bilateral diplomatic relations between Canada and Hungary. Photo: Judy Young-Drache. 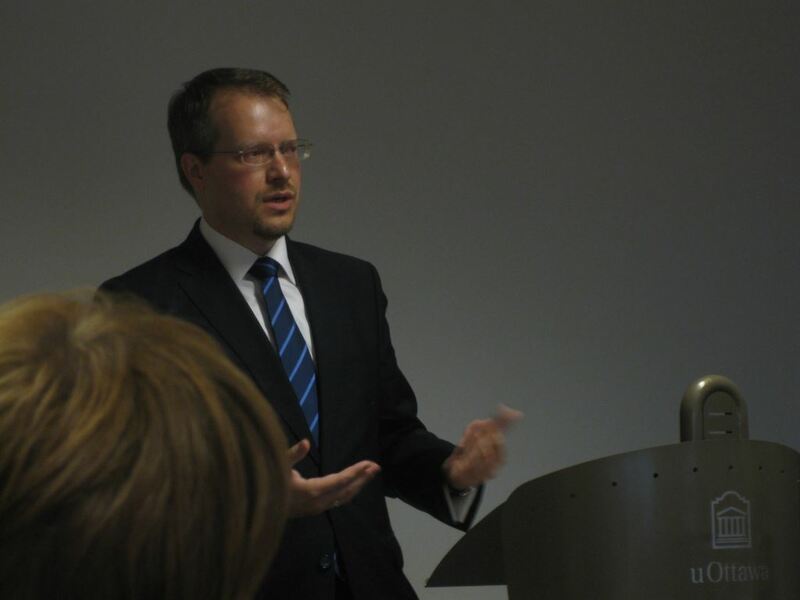 Greg Donaghy, a senior historian at Foreign Affairs, Trade and Development. Photo: Judy Young-Drache. László Sinka, the Economic and Trade Counsellor, Embassy of Hungary in Ottawa. Photo: Judy Young-Drache. 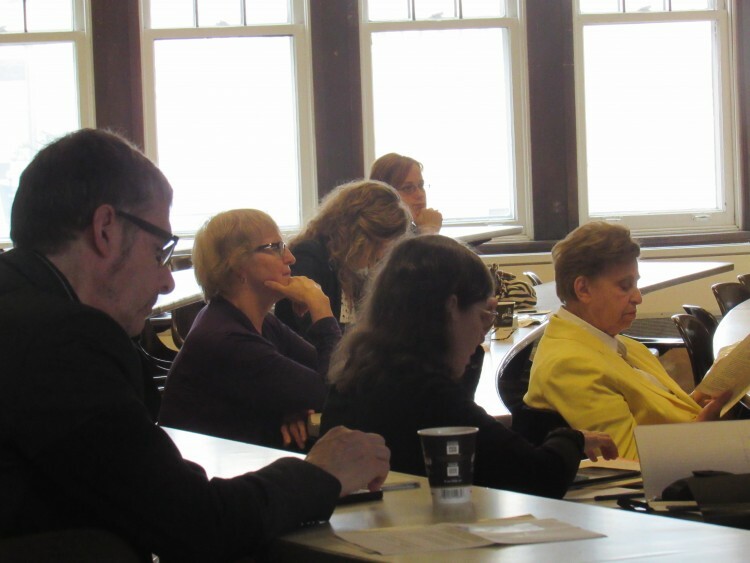 Conference participants listen to presentations on Day 2. Photo: C.A. Oliver Botar (University of Manitoba) serves as the President of HSAC. Photo: C.A. 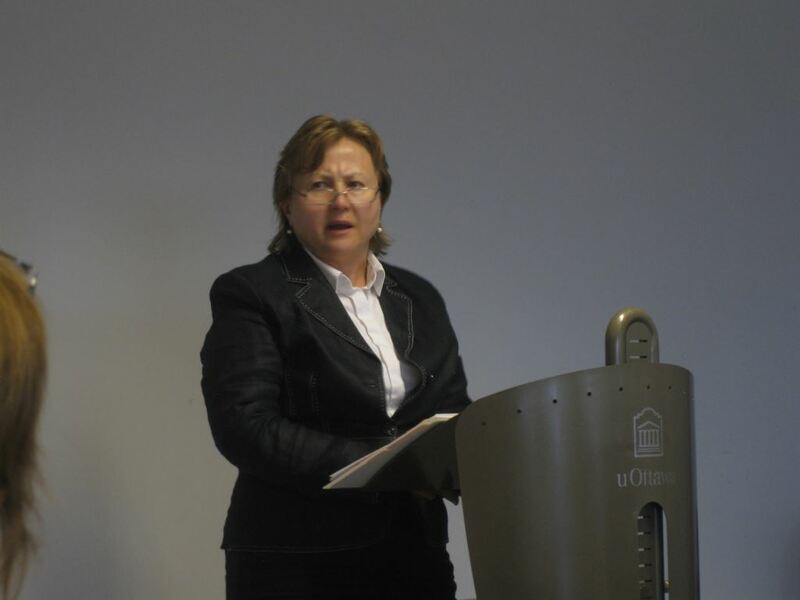 Katalin Kürtösi (University of Szeged) presenting the siege of Budapest, as seen through the works of Hungarian authors Sándor Márai and Tamás Dobozy. Photo: Judy Young-Drache. Nausikaa Muresan-Weisz presents on Joseph Kertes’s book the Afterlife of Stars, focusing on issues of memory, family and war. Photo: C.A. 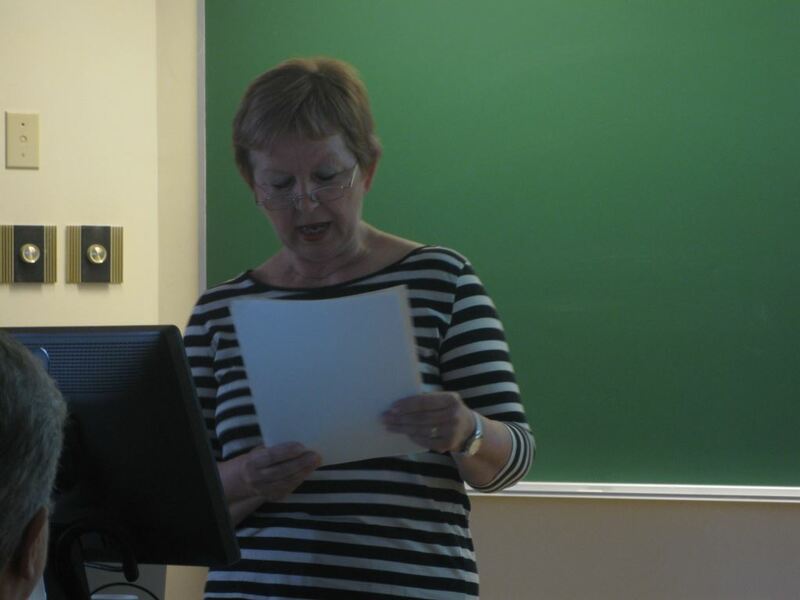 Virginia L. Lewis of Northern State University (South Dakota) presents on the challenges of translating Hungarian author Zsigmond Móricz to English. Photo: C.A. 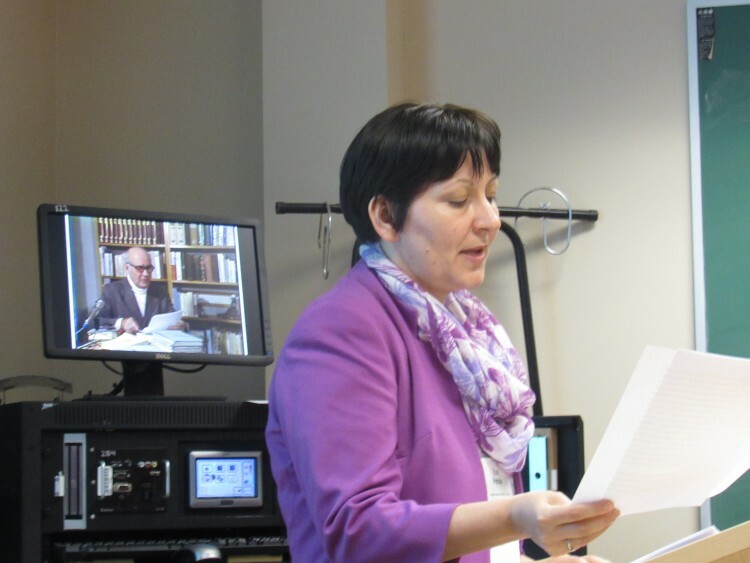 Eszter Szenczi, a PhD candidate at ELTE, and currently researching in Ottawa, presented on George Jonas’s book Beethoven’s Mask. (Photo: C.A.) 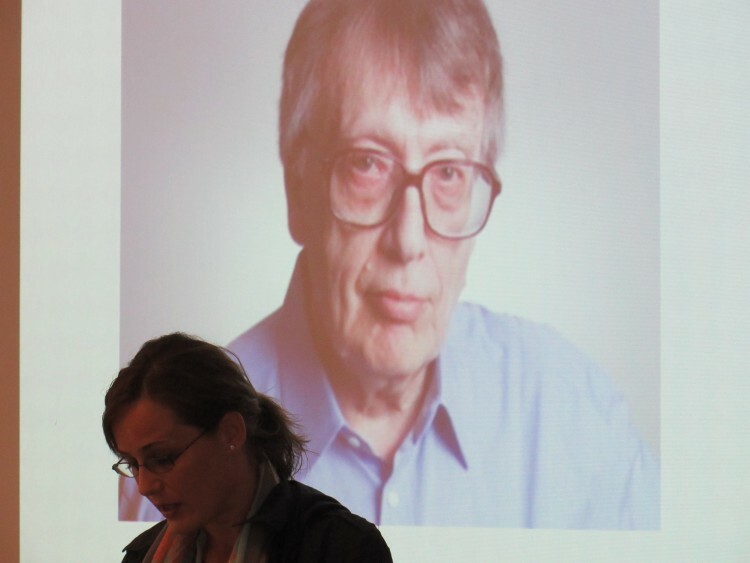 Following on the theme of literature, arts and memory, Katalin Kürtösi of the University of Szeged presented on the Siege of Budapest, as seen through the lens of authors Sándor Márai and Tamas Dobozy. Judit Pál (Babes Bolyai University) presenting on the multinational elites of the Austro-Hungarian Empire. Photo: Judy Young-Drache. 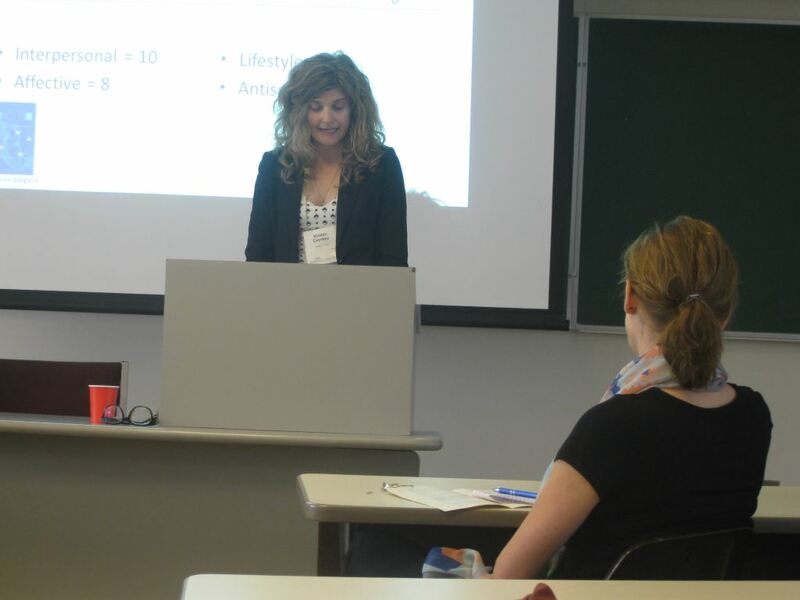 Kristen Csenkey (Student, U of Toronto) presenting on new perspectives on Géza Csáth. Photo: Judy Young-Drache. 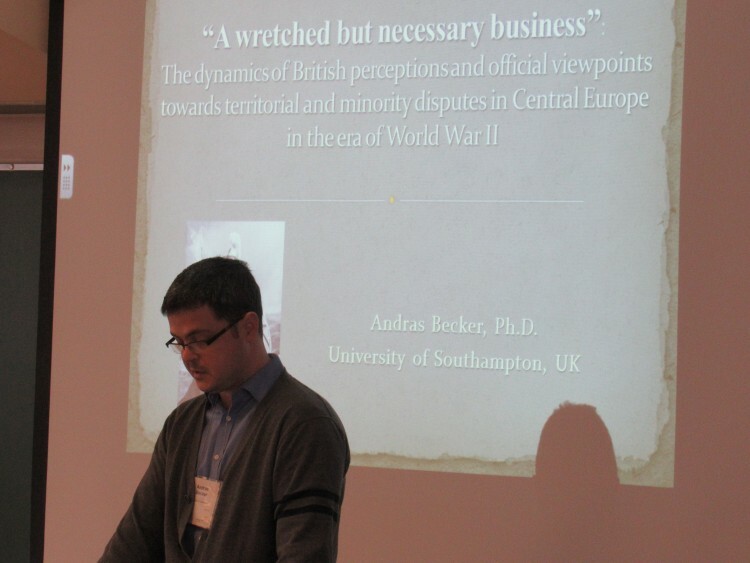 András Becker (University of Southampton, UK) took us into the world of British perceptions of territorial and minority disputes in Eastern Europe during World War II. Photo: C.A. 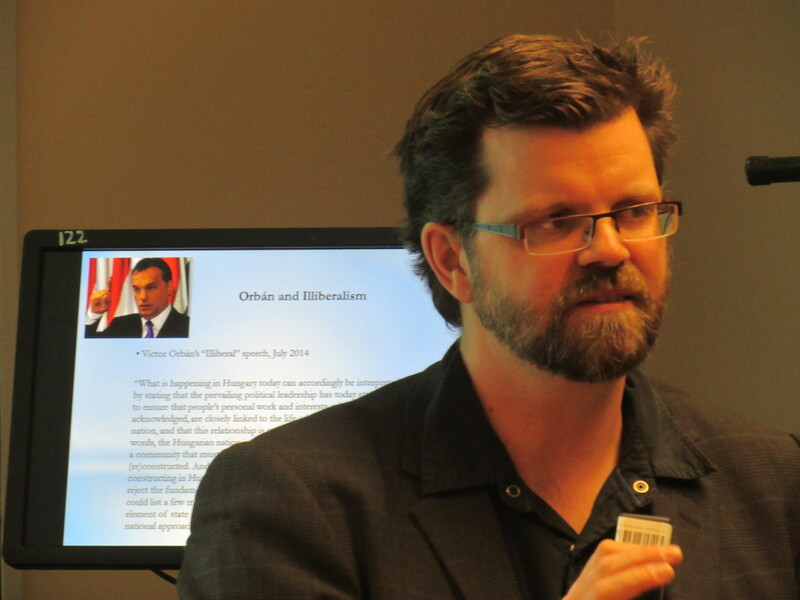 Christopher Adam (Carleton) presenting on the history of Hungarian diaspora policy. Conference participants on Day 1. (Photo: C.A.) The first day of the HSAC conference also included a panel on Austro-Hungarian Egos during the First World War, featuring papers from Andrea Ritter (of the Jewish Theological Seminary of Budapest), on war neurosis, Judit Pál of Babes-Bolyai University in Kolozsvár (Cluj) presenting on the empire’s multi-ethnic elites and Kristen Csenkey, a student from the University of Toronto, speaking about the contributions of writer/psychiatrist Géza Csáth. 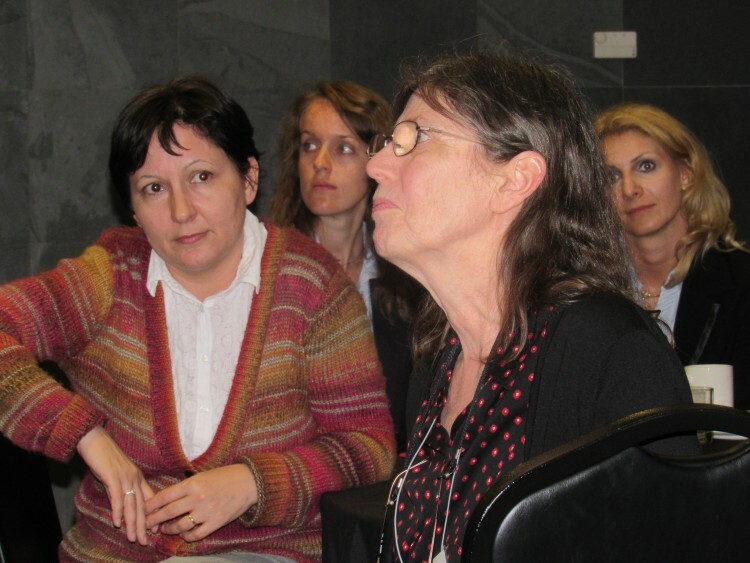 Magdolna Velki, of the Kanadai Magyar Műhely in Montreal, presented in Hungarian on teaching syntax in the diaspora and among non-native speakers of Hungarian. Dr. Velki also chaired a panel entitled “Capital Ideas,” building on the theme of the Congress. Photo: C.A. 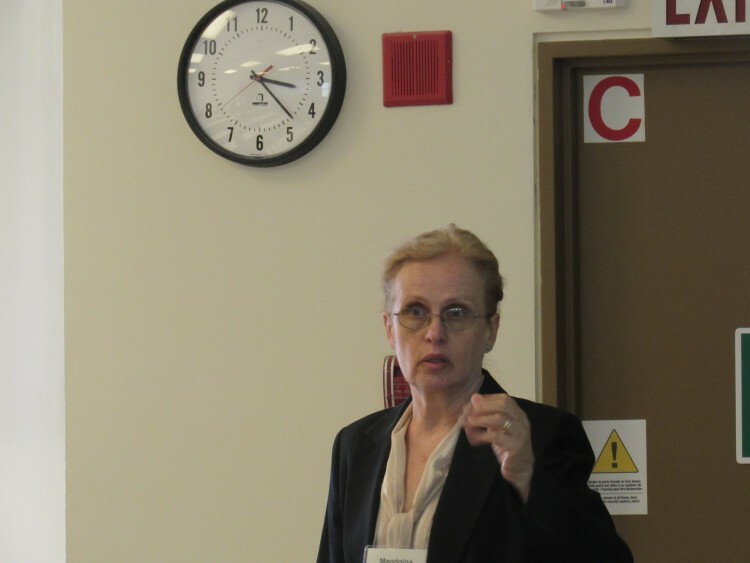 Izabella Barati-Stec, from the Central European University in Budapest, spoke about sustainable budgeting in major urban centres and options for Budapest. Also part of the same panel was Anita Ratting, a PhD student from the University of Pécs, who presented on the concept of business incubation. Photo: C.A. 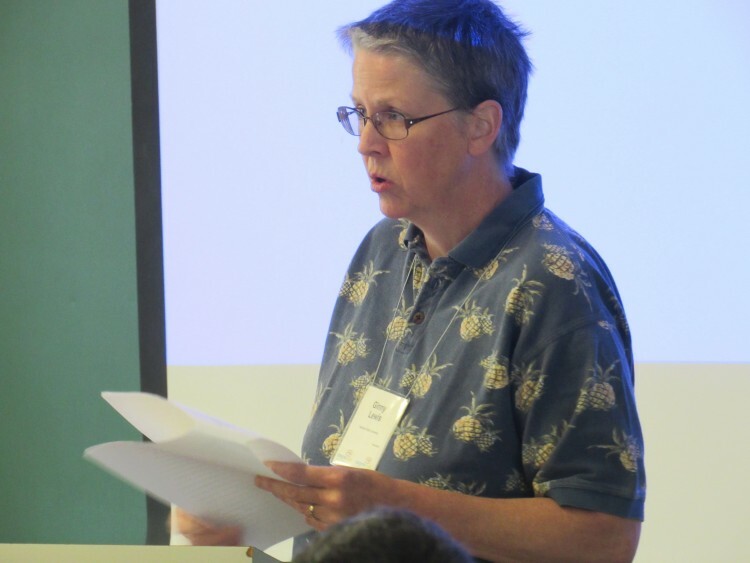 Judy Young-Drache, HSAC’s Executive Secretary and the key organizer of the 2015 conference speaking on Day 1. Photo: C.A. Margit Lovrics, HSAC’s long-standing treasurer speaking on Day 1, at the HSAC AGM. Photo: C.A. 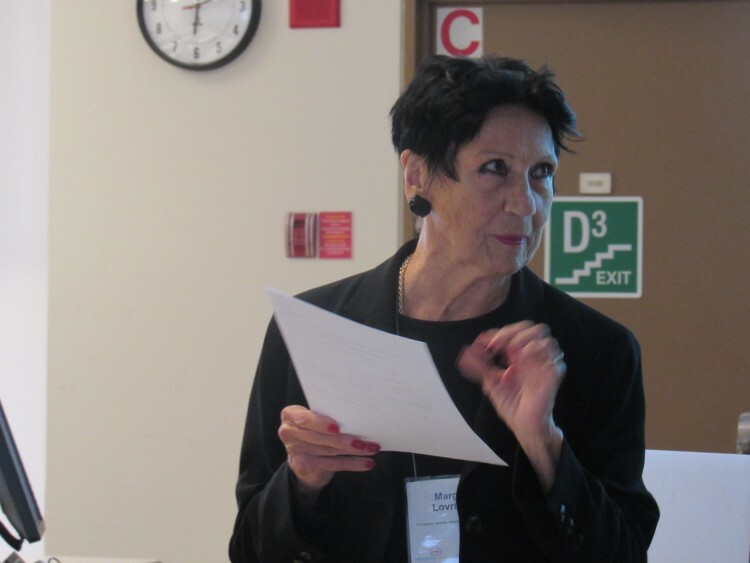 Agatha Schwartz (University of Ottawa) launches her book Shaking the Empire and Shaking Patriarchy: The Growth of Feminist Consciousness Across the Austro-Hungarian Monarchy. 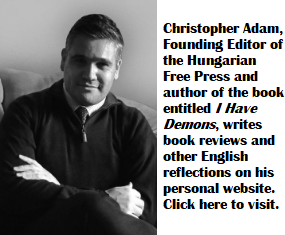 The book was co-authored with Helga Thorson and published by Ariadne Press. Photo: C.A. 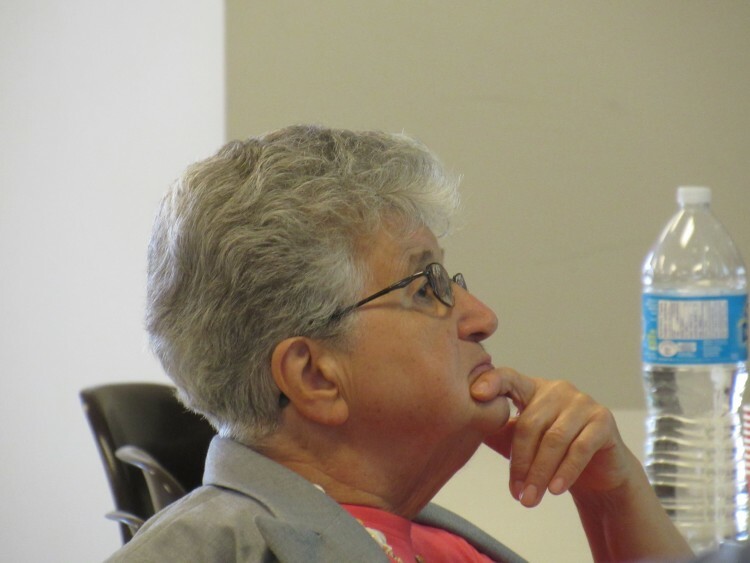 Annamária Bogyó, a long-standing member of HSAC, listens to a conference presentation on Day 1. Photo: C.A. 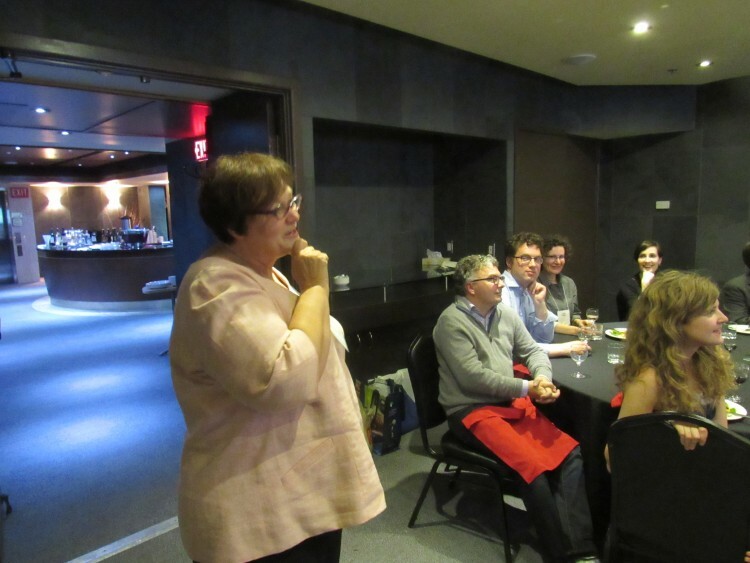 Eva Tomory shares her memories and photos of HSAC’s thirty years at a special dinner organized at the Novotel Ottawa. Photo: C.A. 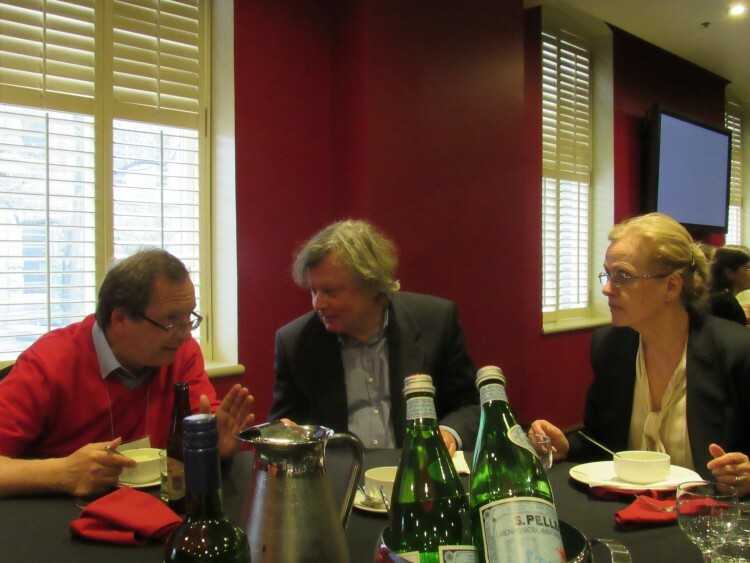 Left to right: Roman Holec, László Tikász and Magdona Velki at HSAC’s anniversary dinner. Photo: C.A. 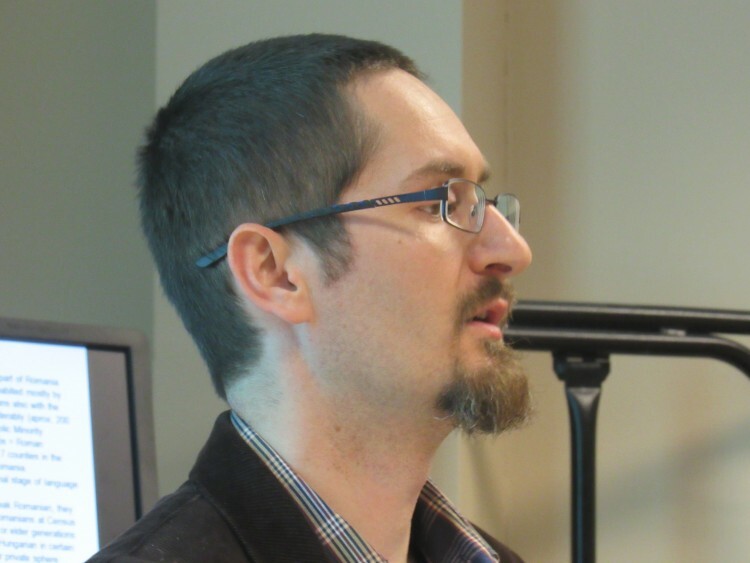 Roman Holec (Institute of History of the Slovak Academy of Sciences, Bratislava/Pozsony) presenting during Day 2 on futurism and visions of utopia and dystopia in Hungary and Central Europe during the early 20th Century. Photo: C.A. Attila Gidó of the Romanian Institute for Research on National Minorities in Kolozsvár (Cluj), presenting on Jewish life in Northern Transylvania prior to the deportations. This panel also included a presentation by Allison Somogyi, a PhD candidate at the University of North Carolina, on the everyday life of Jewish communities in Budapest during Nazi occupation. Photo: C.A. 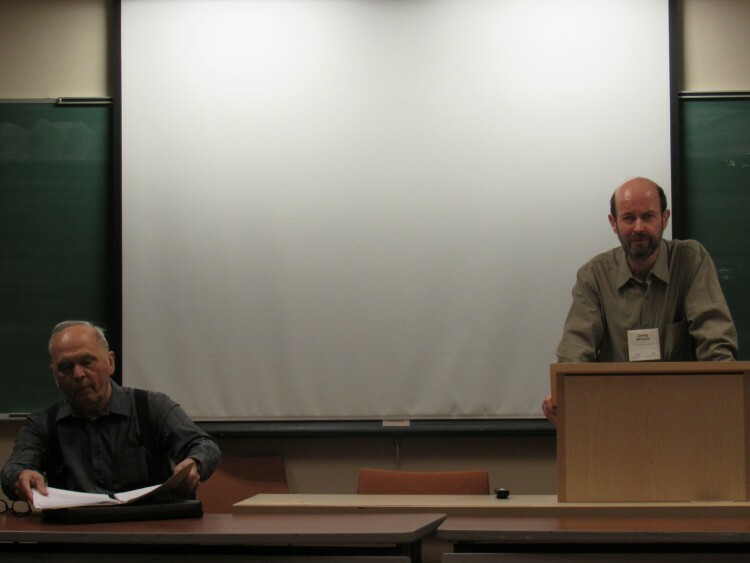 Nándor Dreisziger of the Royal Military College of Canada (left) and Georg Michels of the University of California Riverside (right), presenting on the Ottoman-Habsburg frontier and the failure of the Counter-Reformation in the 17th century. 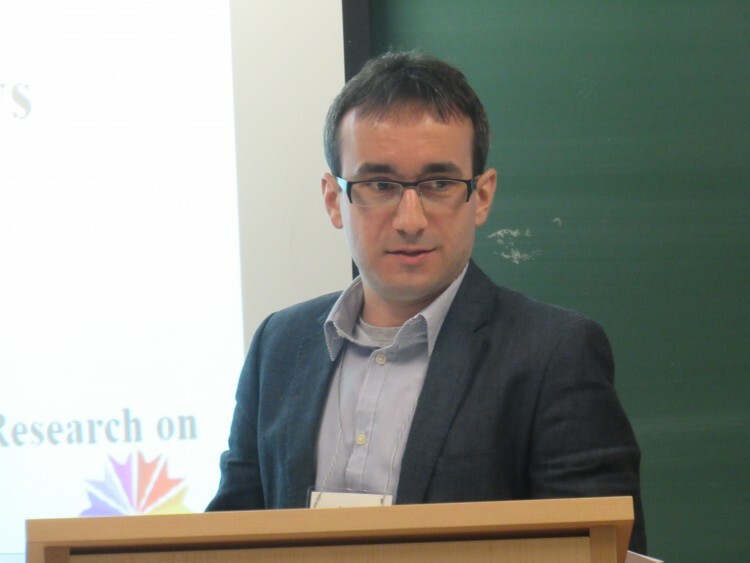 This panel also included a presentation from Albert Zsolt Jakab of the Romanian Institute for Research on National Minorities in Kolozsvár (Cluj), focusing on the 1000th commemorations of the Hungarian conquest and land-taking of 896, held in Kolozsvár. Photo: C.A. 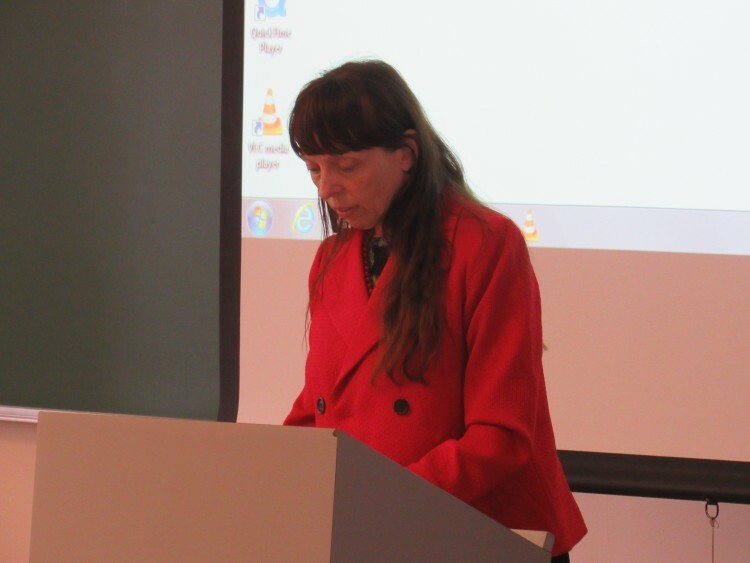 Éva Petrás of the Historical Archives of Hungarian State Security (ÁBTL) presents on Day 2, on the colourful and troubled journeys of Töhötöm Nagy, a Jesuit who collaborated with state security. Photo: C.A. 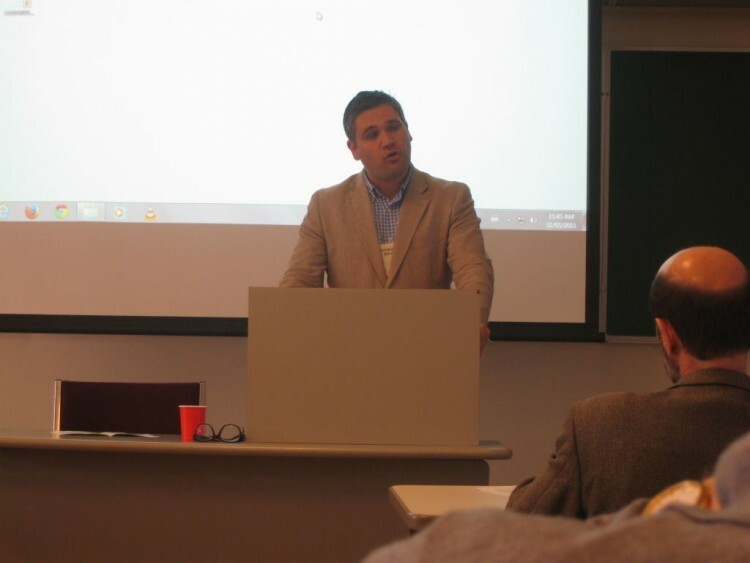 Lehel Peti of the Romanian Institute for Research on National Minorities in Kolozsvár (Cluj) during Day 2, presenting on religious conversion and modernization among the Moldovan Csángó. 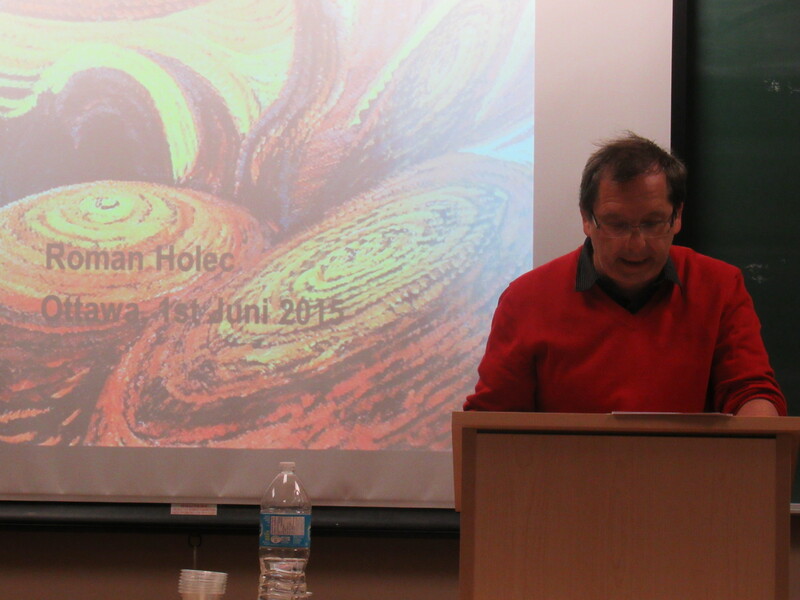 This panel also included a presentation by Nándor Dreisziger on churches in Hungary after 1989. Photo: C.A. 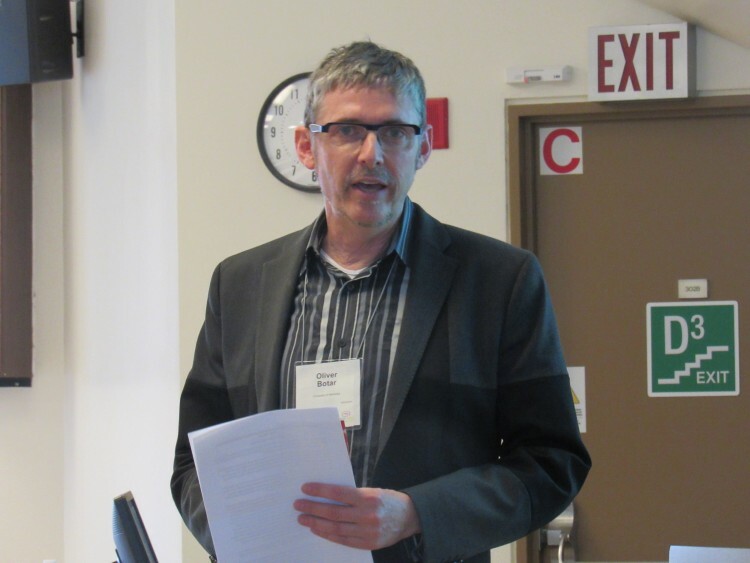 Steven Jobbitt of Lakehead University on Day 2, presenting on illiberalism and geopolitical reorientation in post-communist Hungary. 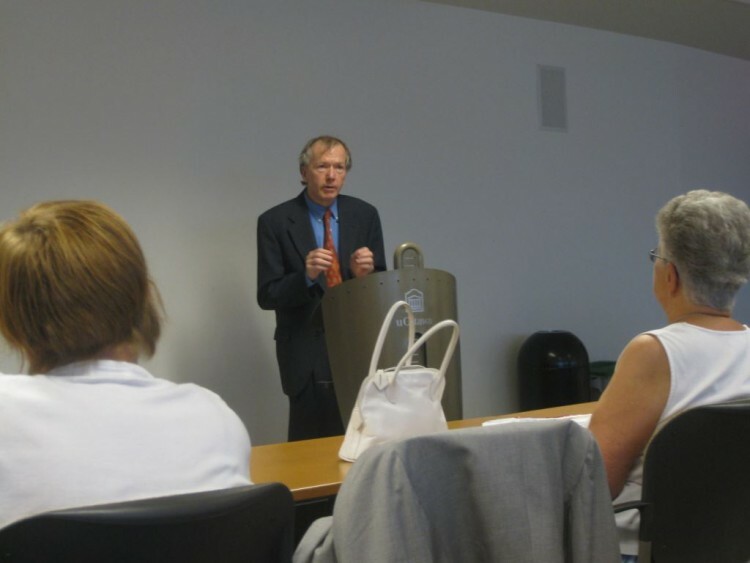 The presentation was followed by a lively discussion on the nature of illberalism and neoliberalism in Prime Minister Viktor Orbán’s Hungary. Photo: C.A. Noémi Nagy, a PhD candidate at the University of Pécs and a doctoral research fellow at the Wirth Institute (Alberta), presents on language rights in Hungary after 1989. 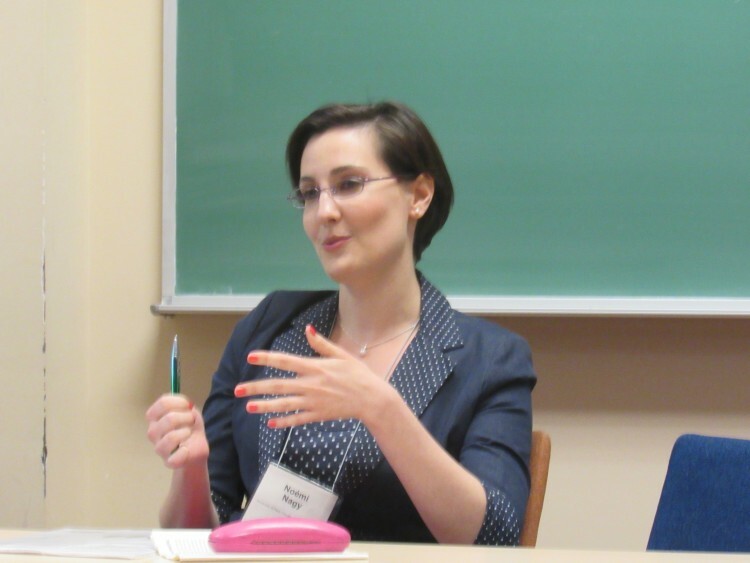 This panel also included an excellent presentation by University of Ottawa PhD candidate Marie Boglari, on civil disobedience and the Roma minority’s system of self-government in Hungary. Photo: C.A. HSAC 2015 conference participants, with Judy Young-Drache in the foreground. Photo: C.A. 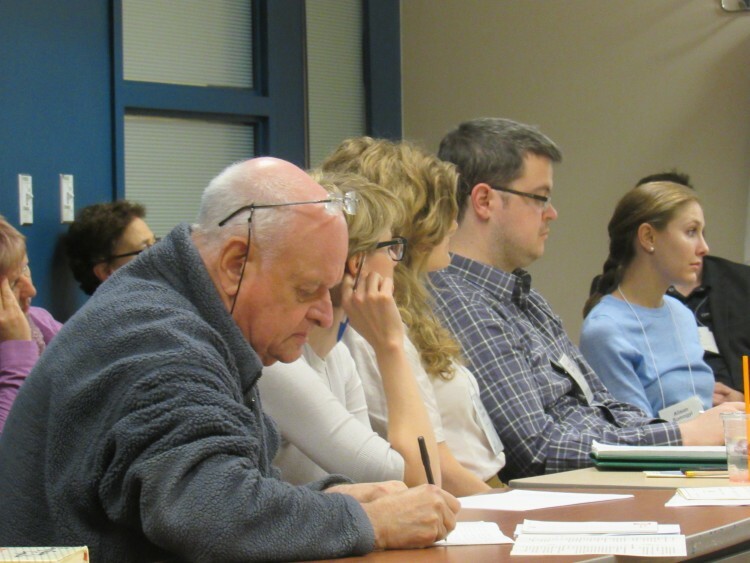 After thirty years, HSAC looks set to continue its work as a multidisciplinary scholarly association with roots in Canada, but open to researchers from all over the world. 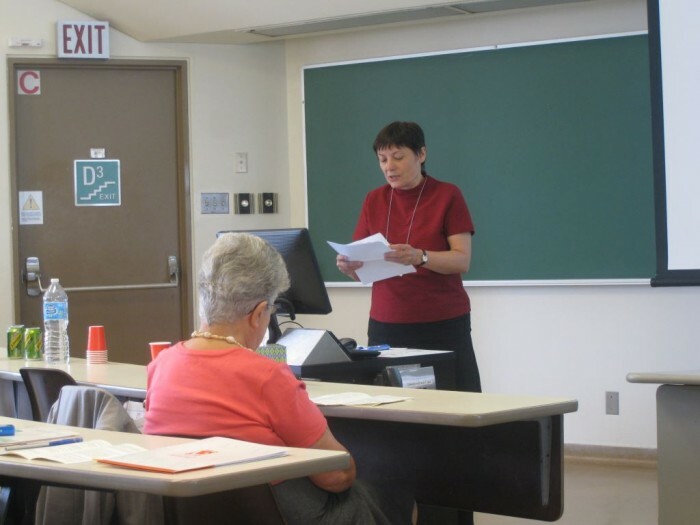 Next year’s conference will be hosted at the University of Calgary, in late May/early June 2016. Great to see these photos especially since I could not make it this year due to scheduling conflicts. Congrats to the program committee. Looking forward to attending next year’s congress.